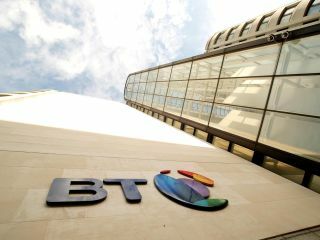 British internet service providers such as BT and TalkTalk are calling for a full judicial review into the Digital Economy Act. The Act became law in April this year, but was heavily criticised at the time, with many suggesting it was rushed through parliament in the 'wash-up' period before a general election without due consideration or debate over the issues at stake. The main issue is internet piracy and copyright-infringement by filesharers using torrent sites. Both TalkTalk and BT claim that the controversial Digital Economy Bill was "rushed through" with "insufficient scrutiny". The bottom-line is that these ISPs don't want to be forced by UK law to ban their own customers from using their internet-access services, claiming that cutting off persistent file-sharers could well be in breach of basic "rights and freedoms". Ofcom issued a draft Code of Practice back in May that would require fixed-line ISPs with over 400,000 subscribers to send warning letters to customers who they identified as persistent file-sharers – which would apply to the UK's seven largest ISPs – BT, TalkTalk, Virgin Media, Sky, Orange, O2 and the Post Office. "It means we could have huge swathes of customers moving to smaller ISPs to avoid detection," claims TalkTalk boss, Andrew Heaney. Gavin Patterson, CEO of BT Retail says ISPs are "mere conduits" of content. "It's disappointing that we feel the need to take action but we feel we have no choice," added Patterson. "We have to do this for our customers who otherwise run the risk of being treated unfairly. "Our dispute is not with the current Government but with the previous administration which pushed this through without due process. We need clarity about whether this legislation is compatible with important EU laws."